The former president of Zanzibar, H.E. 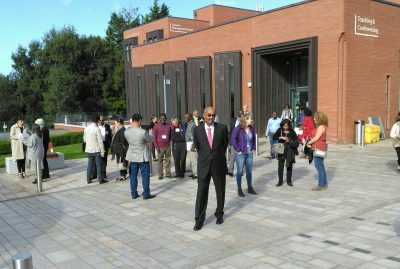 Amani Abeid Karume, wept during a tour of Belfast City, and especially as they drove by the suburbs. The ex-head of state made the statement on the 13th of September at Queen’s University, Belfast, during the Global Peace Leadership Conference 2016 (GPLC), which focused on tackling global crisis. The three-day event was organised by the Global Peace Foundation (GPF), along with Cooperation Ireland. It was attended by the former Zanzibar President, international experts, advocates and practitioners of conflict resolution and peace building from around the world, including, Africa, Asia, America, Middle East and Europe, and notably from the Republic, and Northern Ireland. During a planned tour of the country, President Karume said: “Driving through the suburbs of Belfast City was an eye opener. I was shocked to see people still living in barricaded homes, behind barriers and walls, just because they are ethnically divided. Mr Karume is the son of the first Zanzibar president and contrasted his island nation with Northern Ireland. He said, though Zanzibar suffers from political differences, the people, neither live in barricaded homesteads, nor have religious wars or differences of “those” and “us”. The former president added that, their nation has a sizeable population of Christians, Hindus and Muslims who have always lived together in a harmonious relationship – interfaith relationship, and also belong to different political grouping, regardless of their religious backgrounds. The situation was disappointingly different in Northern Ireland, Mr Karume said. 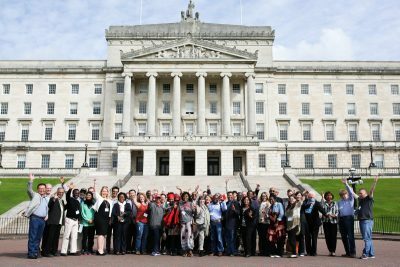 GPLC 2016 participants visit Stormont on a tour of Belfast City. But, he condemned the historic money lending culture of the African central banks that plunged the continent into a non-stop practice of printing more and more money to cover its deficit budget, and consequently to a devaluation of its currencies and poverty. He said Africa must know its past to correct its future. “African countries must understand their past mistakes and run balance budget, stop taking, or accruing debts; pay their debts and bills, and then start revaluing their currencies”. “But do African governments have the potential to do that? The GPLC 2016 addressed topics including: an ethical approach to refugees and mass migration; addressing global challenges locally through civil society initiatives, and the need for ethical leadership to move beyond ethnic and religious conflicts towards a shared future. The conference also remembered attacks that have shook the world, and offered a banquet to honour the victims of America’s September 11 attacks. 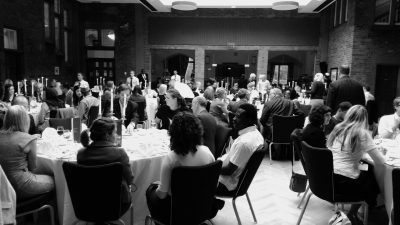 GPF International President, James Patrick Flynn, said the conference was “an incredible extension of wealth, experience and wisdom from peacebuilding”. He added that, “although there are different narratives around the world, underneath, we all have the same challenges. And that’s why, we have to work together to transform tragedies into hope”.